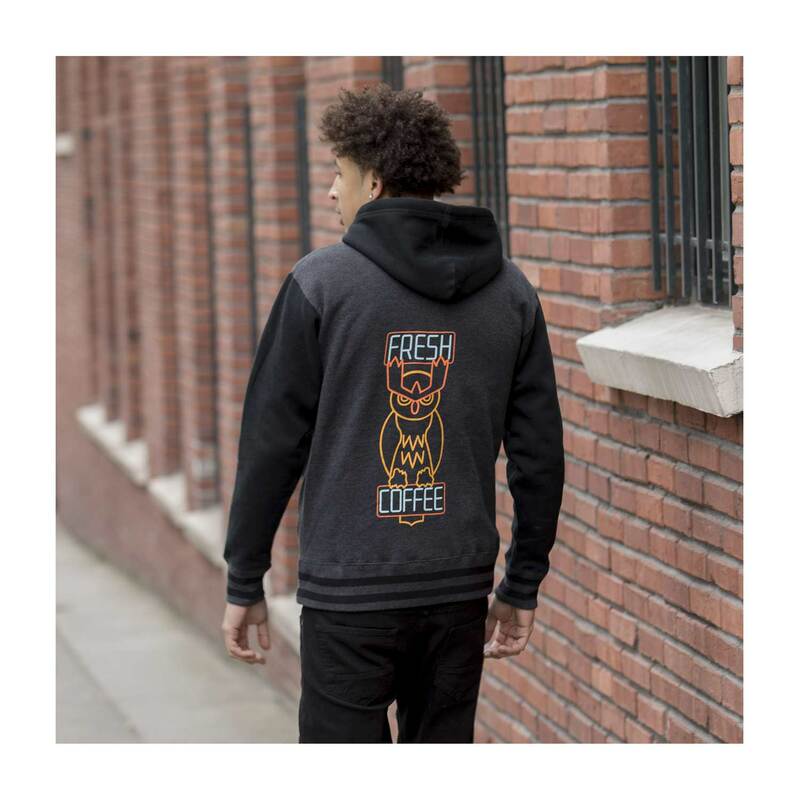 Want to look like a Ryme City regular? 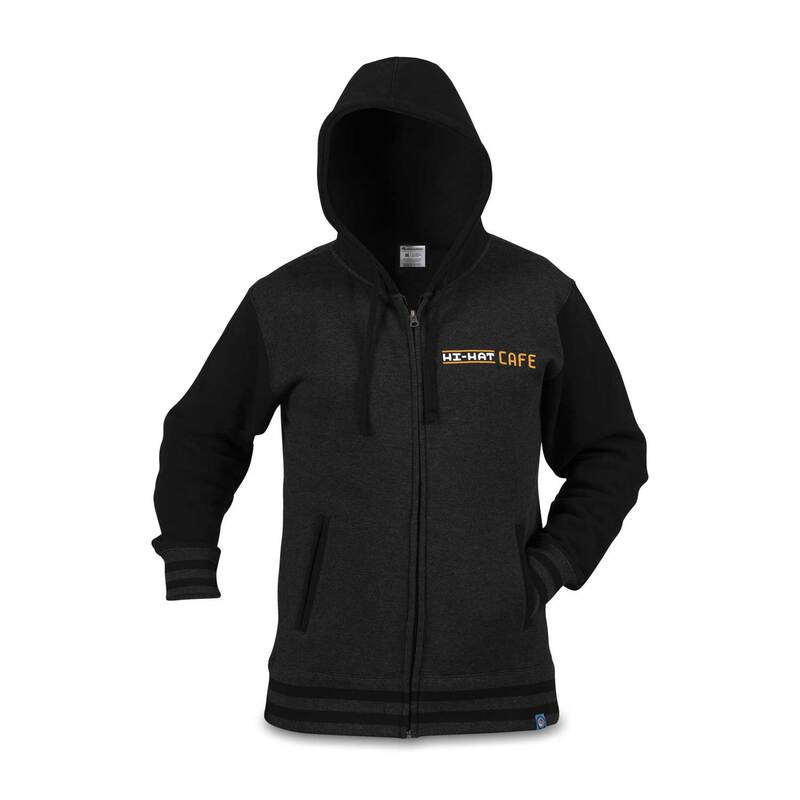 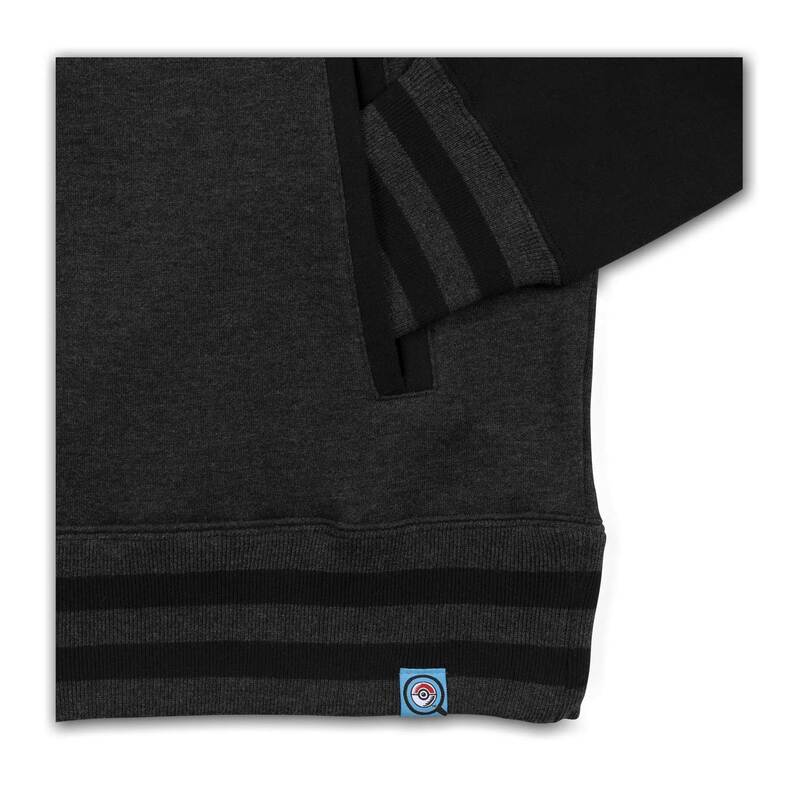 Suit up in this Hi-Hat Cafe zip-up hoodie made with soft fleece and screen printing on each side. 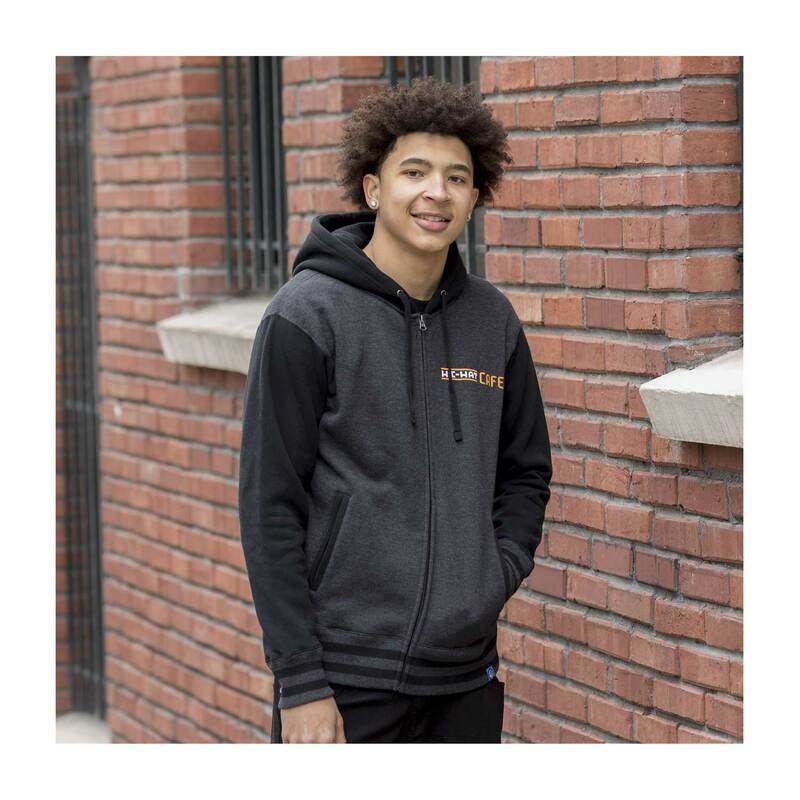 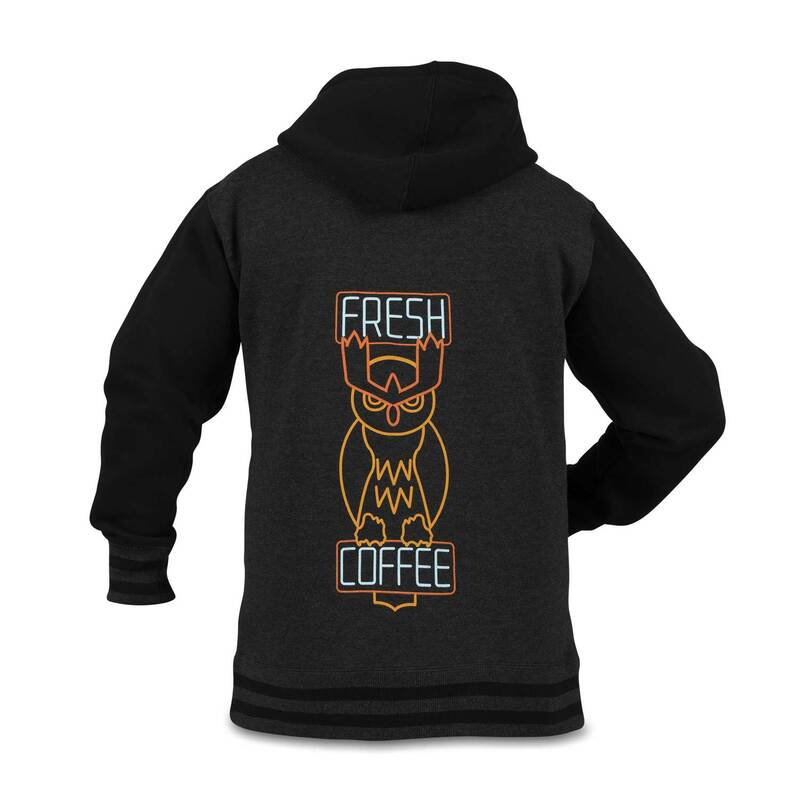 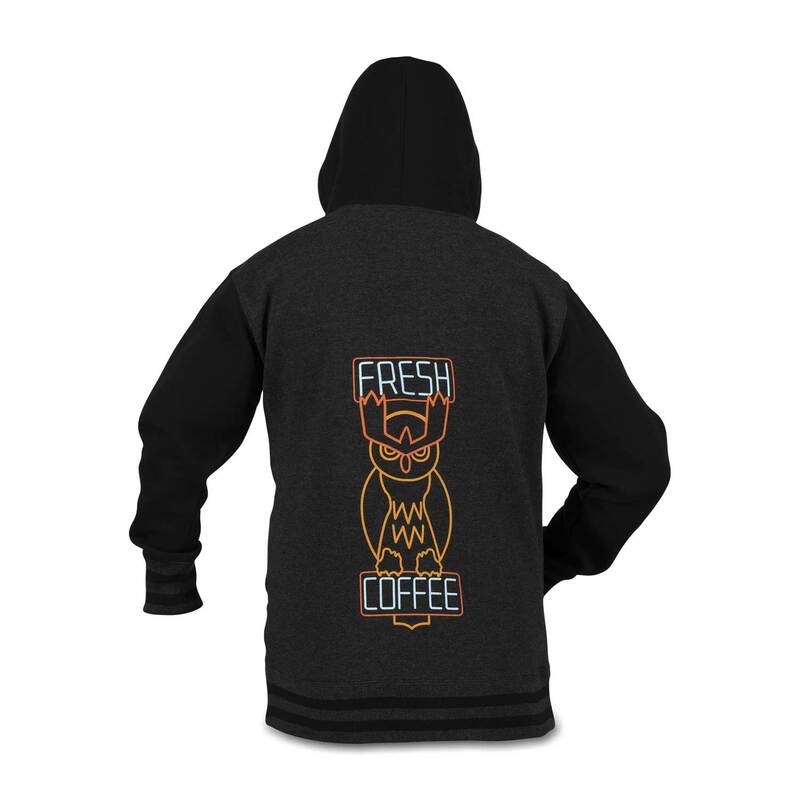 With two slash pockets, a bold graphic style, and elastic at the cuffs and waistband, this cool Pokémon hoodie keeps you warm while showing off your love for hot (or iced) coffee!